At this moment I am drinking a cup of a coffee labeled “Ethiopia Amaro Natural.” It was sourced and roasted by Old Soul, an artisan baker and small-batch coffee roaster in Sacramento, California. Aficionados and regular readers of Coffee Review know that “natural” is the latest name for coffee dried inside the whole fruit, rather than after the fruit residue has been removed, as is the case with the usually brighter and more familiar-tasting wet-processed or “washed” coffees. When this drying inside the whole fruit is conducted in places like southern Ethiopia, where there is considerable moisture in the air during harvest, a mild fermenting of the sugars in the fruit occurs during drying. If the delicate balance controlling the fermentation works out right, however, the ferment encourages a sweet fruit complex that can take on a variety of associations ranging from opulent berry and dark chocolate to (in lighter roasts) brighter but still lush fruit like tangerine. Typically lacing the fruit is a very mild alcohol-like edge that can suggest brandy, American-style whiskies, red wine, even gin. If the ferment goes too far, well, the result is not pretty: a bitter, rotten edge surfaces, particularly when the cup cools. No problems with the Old Soul Ethiopia Natural I am drinking, however. It is a fine variant on this new style of Ethiopia natural: lighter roasted, syrupy in mouthfeel, richly balanced in acidity, with a deep honey sweetness and a port-wine edge to the chocolate and fruit. When the dried-in-the-fruit method is applied to naturally distinctive and complex coffee varieties like the ancient heirloom cultivars grown in Ethiopia, the fruit and chocolate is often joined by floral notes rendered particularly sweet by the dried-in-the-fruit process, as is the case in several other of the highest-rated among this month’s samples. This “new natural” cup has attracted a rather passionate following in North America over the past several years, ever since Starbucks (yes, Starbucks) first introduced the type to North American retail in around 2005 with its “Sherkina Sun-Dried Sidamo.” During the intervening years the type has been adopted by smaller, more nimble roasters, and has undergone considerable refinement at origin. That refinement is on impressive display in this month’s reviews. For years new naturals were a hit-or-miss effort by cooperatives and exporters, replete with versions that were exhilaratingly fruit-and-brandy-toned in front while often bitter and edgy in the finish. But the overwhelming evidence now is that over the past few years more and more producers in southern Ethiopia are learning how to manage the ferment edge in the dried-in-the-fruit process with something close to precision. In the very cleanest of the coffees we review this month the ferment notes are virtually undetectable. The 95-rated Papa Lin’s Ninety Plus Nekisse “Red,” for example, is ferment-free though still a very strikingly complex and original cup, a cup whose deep, wide-ranging aromatics I suspect could never have been achieved through conventional wet-processing. Other samples reviewed this month, like the Old Soul Aramo (93), the Mr. Espresso Yirgacheffe Kochere Aricha (94) and the Olympia Ethiopia Banko Natural (94), are complex and clean yet complicated by just a whiff of brandy- or Bourbon-like notes. Finally are samples with a sweet but full-throated, unapologetically ferment-related chocolate and blueberry character like the Yo el Rey Ethiopian Worka (93) and Kickapoo Ethiopian Natural (92). Someone new to coffee might ask: Why is the act of simply drying the coffee seeds or beans inside their fruit considered so “new” and “unorthodox,” given it is such an easy process when contrasted to the conventional wet process, which involves performing a sequence of urgent, time-sensitive processes to strip off skin and fruit before the beans are dried? The answer, of course, is that the natural or dried-in-the-fruit process is, indeed, much older than is the wet process. In fact drying in the fruit is as old as the beverage coffee itself, while the wet or washed process was not fully refined until the nineteenth century. Furthermore, in southern Ethiopia, where the best of this month’s coffees originated, the washed process was not instituted until the 1970s. Before then all Ethiopia coffees were dried-in-the-fruit naturals. But by the time coffees like this month’s new naturals began their climb to fame a few years back, southern Ethiopia was firmly and exclusively associated with the pure, floral-and-citrus washed coffees produced by the many wet mills or “washing stations” scattered across the by-then celebrated southern Ethiopia growing regions of Yirgacheffe and Sidamo. So, true, the style of coffee that appears with such originality and vivacity in this month’s reviews is more an update and revival than an innovation, but it is a revival that in its refinement and sophistication represents a major technical step forward for coffee and one that has begun influencing coffee production throughout the world. 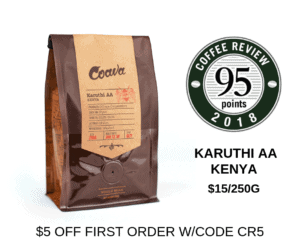 Meanwhile, the simple, primitive, dry-em-any-old-way style of dried-in-the-fruit coffee is still practiced in parts of Ethiopia and throughout the world, producing coffees that can range from outright foul (we had one such coffee submitted this month) to fruity but edgy. Many coffee aficionados are fascinated by the example of central Yemen, the dry, mountainous region just across the Red Sea from Ethiopia. The Arabica coffee species originated in Ethiopia and controversy continues over whether the various acts that transform the seed of a berry into a finished hot beverage were first elaborated in Ethiopia or later in Yemen, after the Arabica tree was carried there sometime between the sixth and ninth centuries. One sure thing is that coffee as a commercial crop produced for export was first established in Yemen, and it was “Mocha” coffee from Yemen that gave Europe its initial taste for the beverage. Yemen remains particularly captivating because coffee is still produced there almost exactly as it was when coffee first came onto the world stage starting in the fourteenth century. The only difference is that now gasoline engines rather than camels turn the millstones that husk the dried coffee. I spent six weeks in Yemen in the 1990s, continually enthralled by the depth and continuity of Yemeni coffee production and culture. Unfortunately, then as now, the best Yemeni production is difficult to experience in North America. Most Yemen coffee is produced from a mix of ripe, overripe and under ripe fruit. Those lots that are produced from mostly ripe fruit may cup beautifully in Yemen, but by the time they travel from the arid highlands of central Yemen through the humidity of the Red Sea to North American roasters they tend to turn dull at best, rubbery at worst. Efforts to revive Yemeni coffee are underway, including, I would hope, direct air shipment from Sana’a, though the two samples we cupped for this month’s reviews were disappointing. The better of the two, the CaféTaster Haraaz-Red Marqaha, is reviewed here at 89. The importer reports that it was produced from ripe fruit dried on raised beds, as were the highest-rated southern Ethiopia samples reviewed this month, but in the cup the potential freshness and fruit of the type are backgrounded, perhaps dulled in transit or storage, with only an interesting though limited sweet spice and cacao character surviving. 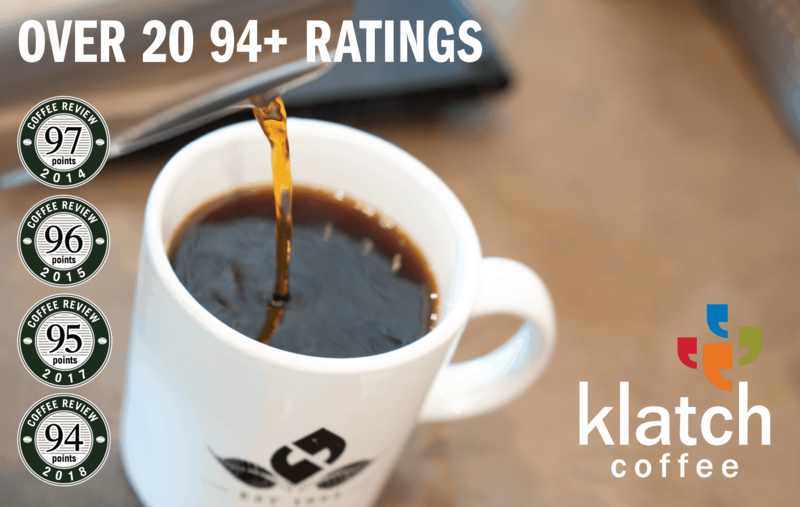 We reviewed a Yemen from the same importer with a score of 92 in September of 2013, however, which may reflect either a superior lot or superior freshness. Hopefully Yemen will rebound and restore its contributions to the world’s growing repertory of refined dried-in-the-fruit types. But for now the soaring, giddy exhilaration of these ancient dry-processed coffee types, produced in both Ethiopia and Yemen from tree varieties hundreds of years old, are best experienced rendered by the technically refined innovations of a new generation of Ethiopia coffee producers.